1) It should stayon my waterline. My eyes are extremelyyyyy watery. Most eyeliners stay not more than 3hours on my waterline. In an A.C. environment, a bit longer, maybe 5-6 hours but that’s it. 2) It should be very very very black. 3) It should be suitable for sensitive eyes, also I wear contacts so shouldn’t transfer on them. 4) A little smudging I can deal with but it shouldn’t give me raccoon eyes. 5) I prefer sharpenablepencils. I generally don’t like the twist up kinds. I just want those jet black kohl-rimmed eyes that look amazingly beautiful. This is going to be a very long post as I’ve seriously tried a lot of kajals in my lifetime. 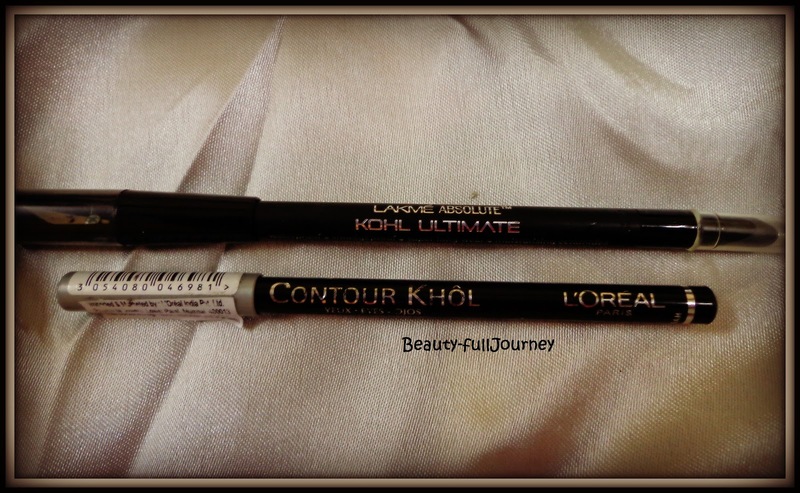 I think most girls started out with Lakme products, so did I. 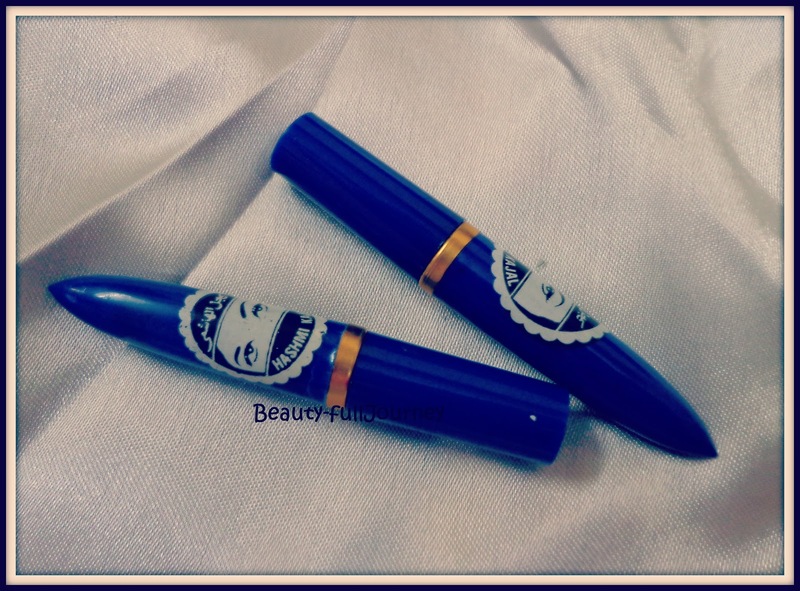 The thick lakme kajal stick was my first makeup product. It smudged badly on my watery eyes. Neither did it last. It smudged so bad on me that I seriously used to look like a raccoon back then. 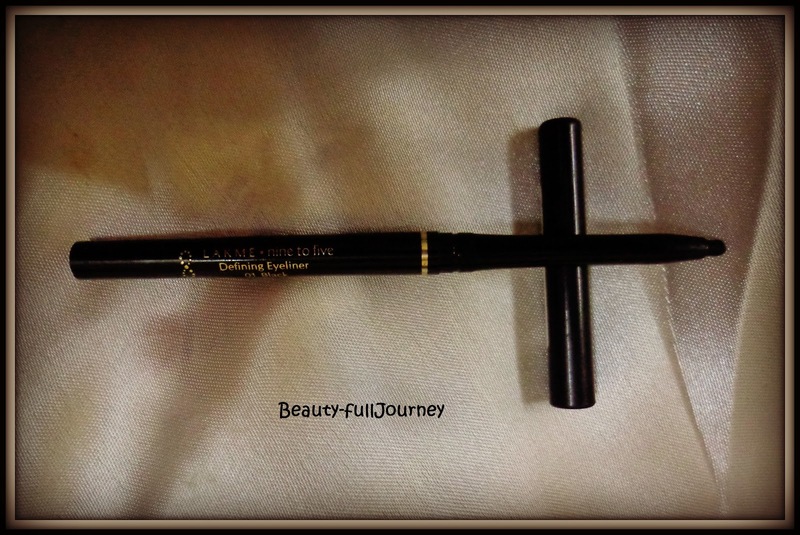 Then I tried the more expensive Lakme 9 to 5 eyeliner, which has been the worst eyeliner for me ever. It was not at all easy to apply, not at all soft, didn’t last even an hour on me. A friend then gave me her VLCC kajal. It used to come in a tube form then. It was really good. Very black. Lasted a long time but then equally difficult to remove. But that was okay. I was so happy, I used it up completely but when I went to repurchase, VLCC had stopped manufacturing it. Such bad luck no? and it was so reasonable too, under 100bucks I remember. 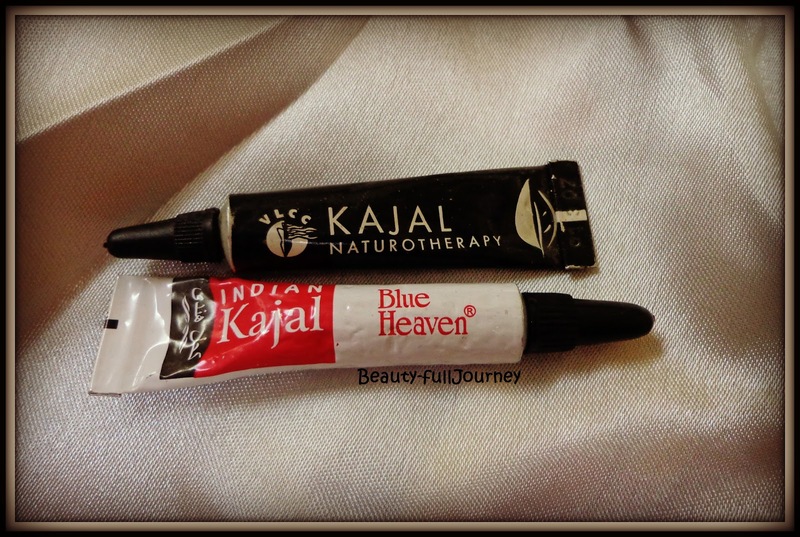 Looking for a similar one which would be in a tube form, I came across Blue Heaven kajal, for INR25. At the price, it was worth a try. It was good but not great. 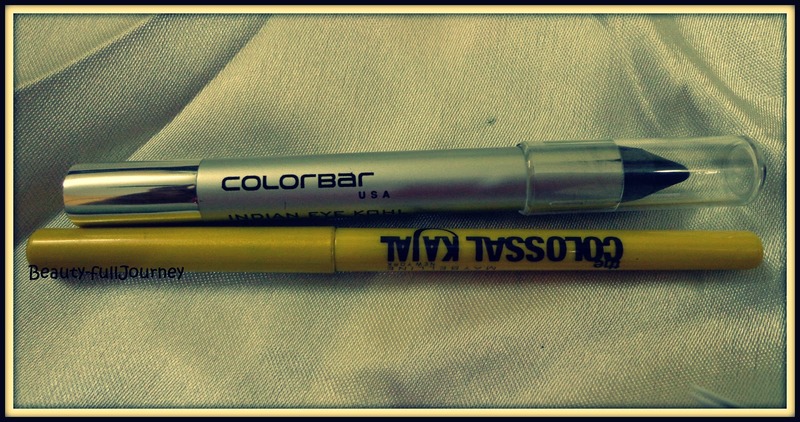 In between, I had also tried Colorbar kajal and Maybelline Colossal. 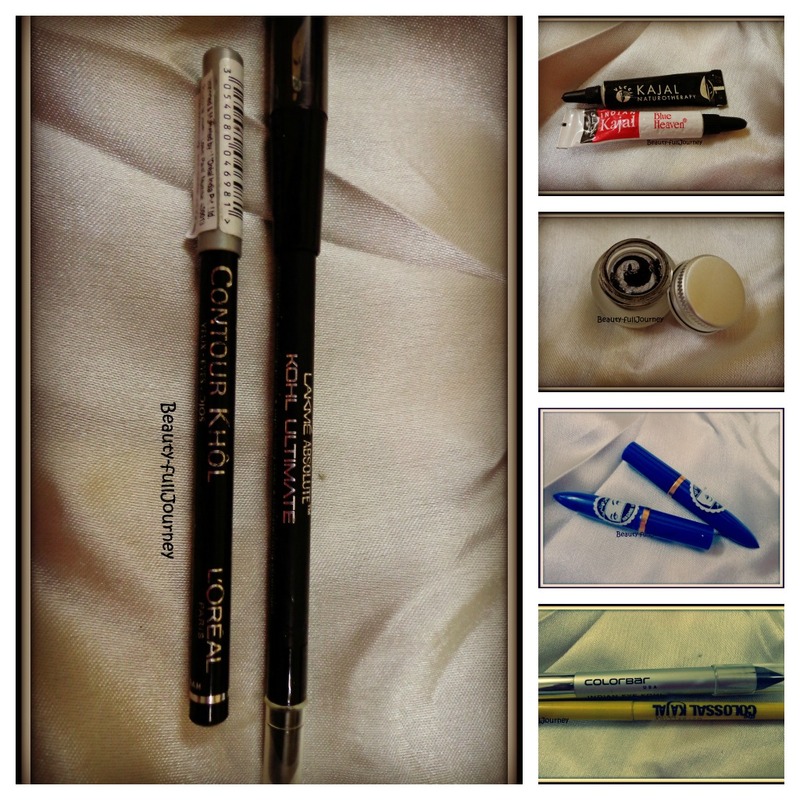 Colorbar kajal was very black but again smudges easily. I guess thicker the kajal, more it smudges. MNY colossal kajal, did not live up to the extremely tall claims laid down by the advertisements and all. It is black and smudge-free. But it did not last long on my eyes. I also did not find it soft enough to be used on the waterline. 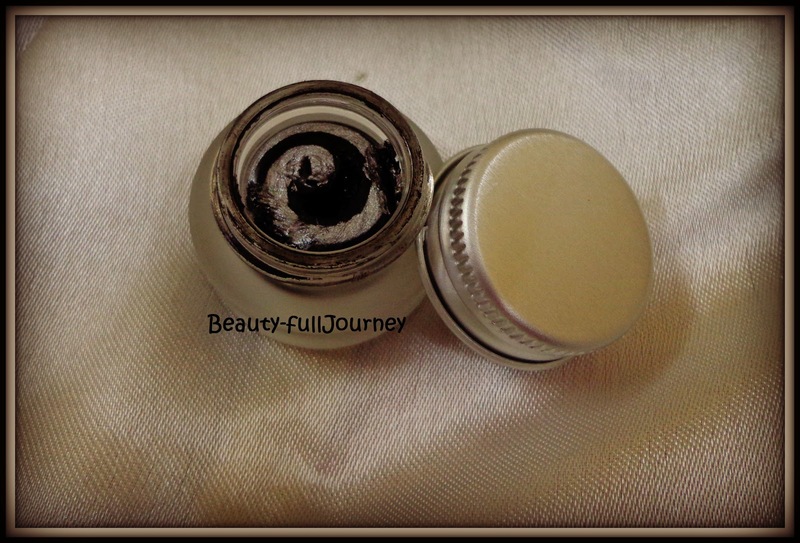 I also tried the Maybelline gel eyeliner initially on my waterline as many people do. I found it stung my eyes a little so I did not try again. However last week I tried again and it didn’t sting, but I’ll try again and then decide. And I seriously want to thank all you who actually read this entire post because these “my tryst with… “ are so full of my faltu banter but I love all of you who read this whole thing. Next > Giveaway winner !!! I am using colossol kajal and in short i will shift to lakme.this site has given much information regarding different kajals thats good.